Ft. Lauderdale pet owners will want to consider microchipping their pet if they haven't done so already. Microchipping is the easiest way to protect your lost or injured pet from becoming a statistic. Less than 20% of dogs in shelters and fewer than 2% of cats are ever reunited with their owners. 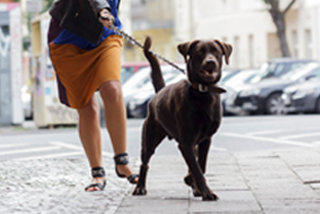 A microchip containing the owner's contact information can make a difference. 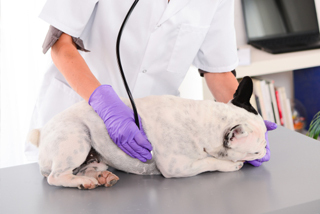 A microchip is a small device implanted between your pet's shoulders using a syringe. On the chip is a unique ID number that can then be registered with the chip company so that the pet owner's name, address and phone number become a matter of record. Animal control facilities, rescue shelters and veterinarians all have scanners that can "read" the chip. Once the number is identified it's a simple matter of going online, accessing the number and determining who the owner is. This can literally be a life saver for your pet. At DPC Veterinary Hospital in nearby Davie we have chosen HomeAgain as our provider of microchips and lost dog services. We think that this company offers the most comprehensive and useful information and services that our patients can find. Personalized lost pet posters that can be electronically sent to vet offices, animal control and rescue shelters as well as be printed for local distribution. 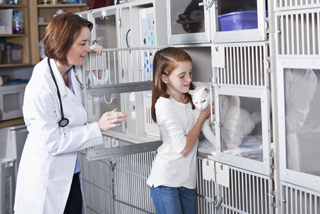 For your convenience we imbed pet microchips seven days a week on a walk in or appointment basis. 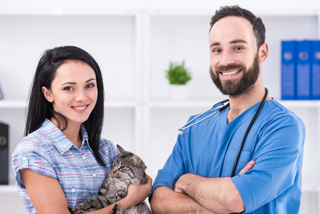 Our veterinarian or technician will do the imbedding and our front office staff will assist you in registering the ID number and contact info. They will also train you on how to make changes to the registration should you move or change your phone number.